It was another eventful day at the Playground Poker Club for the partypoker MILLIONS North America $5,300 Main Event that saw 51 players advance to Day 4. It will be a familiar face leading the way when players return on Tuesday, as Darryll Fish bagged the chip lead with 98,450,000. Fish came into the day with a mere 2,425,000 stack and was forced to grind his way into the money. Once the bubble burst, the Florida native slowly worked his way up the leaderboard but never really made any waves until the last two levels of the night. Fish finally found his mojo and started raking in pot after pot to work his way into the lead. 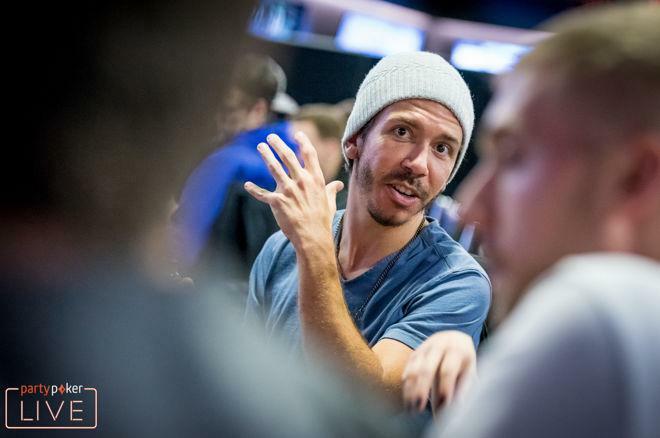 With over $3.7 million in career earnings, Fish is still looking for his first ever seven-figure score, and he has put himself in a great position to do so here in Montreal. Not far behind the chip leader, are a couple of lesser-known names who will be looking to make their mark on the poker scene. Guillaume Nolet (87,000,000) and Taylor Black (81,275,000) finished the day in the top three chip counts after some strong stellar play from start to finish. Some notable names to be moving on to Day 4 include Joseph Cheong (60,975,000), partypoker Team Online Pro Renato Nomura (58,925,000), Kevin Rivest (42,125,000), Marc-Andre Ladouceur (41,750,000), partypoker Sponsored Pro Richard Dubini (41,375,000), Marvin Rettenmaier (17,225,000), and Antonio Esfandiari (15,650,000). The day began with 285 players returning in what would be a race to reach the money. With only 250 places being paid, it wouldn't take long to reach the bubble. Hand-for-hand play lasted around 30-minutes and ended with multiple all-ins throughout the room. It was Stephen Diamantas who burst the bubble when he flopped two pair against Andjelko Andrejevic with top pair and top kicker. 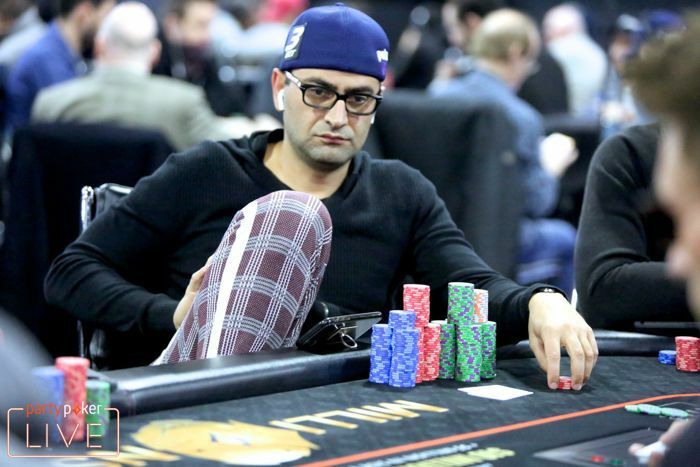 Fortunately for Andrejevic, Ardavan Yazdi was all in on the other side of the room and was eliminated as well, resulting in each player taking home $5,000. The remaining 249 players were all guaranteed $10,000 and wouldn't see a pay jump take place until the final 99 players remained. That created a ton of action and players started to hit the rail in a hurry. Some of the biggest names to also be eliminated in the money include Victor Ramdin (231st Place - $10,000), Jeff Gross (169th Place - $10,000), Seth Davies (131st Place - $10,000), Martin Jacobson (126th Place - $10,000), Micahel Gathy (87th Place - $12,500), Jean-Pascal Savard (58th Place - $15,000), and partypoker Sponsored Pro Kristen Bicknell (57th Place - $15,000) who was eliminated as the night was winding down. A couple of stories to follow will be that of Wayne Obrien who is the last online qualifier remaining. Obrien qualified on a freeroll, getting into the tournament for free. He is now sitting on 39,800,000 heading into Day 4 and has guaranteed himself at least $17,500. There are also two brothers remaining in the tournament, Ryan Smith and Michael Smith, from Saskatoon, Canada. The Smith brothers are regular tournament grinders on the Western Canada poker circuit and have brought their talents to the most significant tournament in Canadian history. Ryan bagged himself 10,200,000 while his brother Michael has slightly more with 11,400,000. The two played much of Day 3 at the same table looking each other in the eyes but will begin Day 4 on separate tables looking to run up a stack. The remaining 51 players will return on Tuesday at 12:00 PM EST with the blinds resuming at 400,000/800,000 and an 800,000 button ante. The action is scheduled to continue until a final table of eight players is reached. The blind levels will still increase at 60-minute intervals with a 15-minute break after every two levels. The PokerNews live reporting team will be on site to bring you all of the action over the course of the final two days of the partypoker LIVE MILLIONS North America Main Event. Check the live updates, right here.